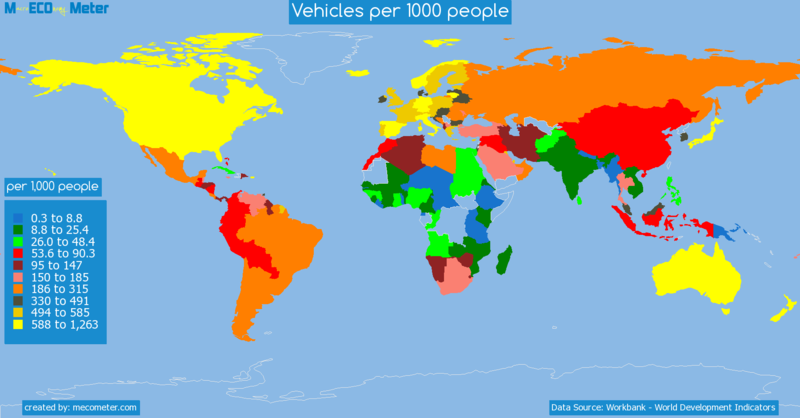 Value & RankThe Vehicles per 1000 people of Pakistan is 20.2 (per 1,000 people) with a global rank of 150. 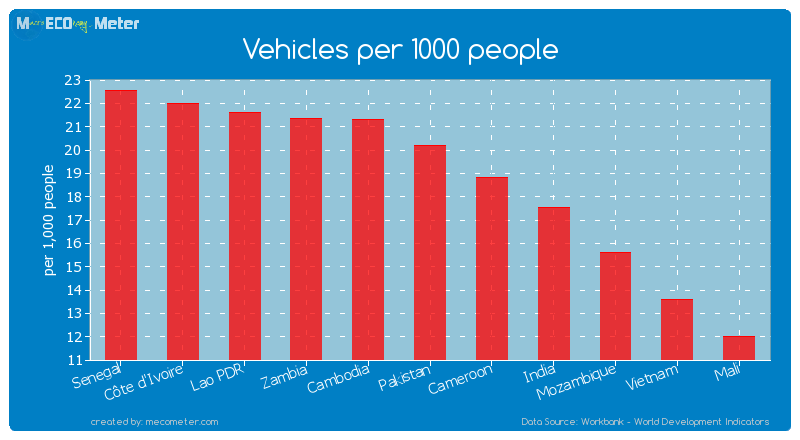 Pakistan compared to other CountriesThe Vehicles per 1000 people of Pakistan is similar to that of Senegal, Côte d'Ivoire, Lao PDR, Zambia, Cambodia, Cameroon, India, Mozambique, Vietnam, Mali with a respective Vehicles per 1000 people of 22.6, 22.0, 21.6, 21.4, 21.3, 18.8, 17.6, 15.6, 13.6, 12.0 (per 1,000 people) and a global rank of 145, 146, 147, 148, 149, 151, 152, 153, 154, 155.10 years growthPakistan's Vehicles per 1000 people had a positive growth of 87.0 (%) in the last 10 years from (2001 to 2011). 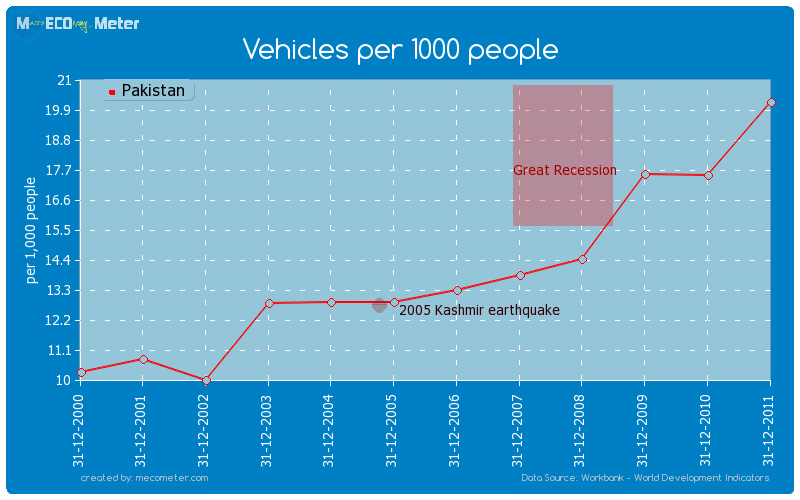 Last 10 years averagePakistan had an average Vehicles per 1000 people of 14.2 (per 1,000 people) in the last 10 years from (2001 to 2011).